Children 3rd grade and younger are invited to join us for an Easter Egg Hunt! 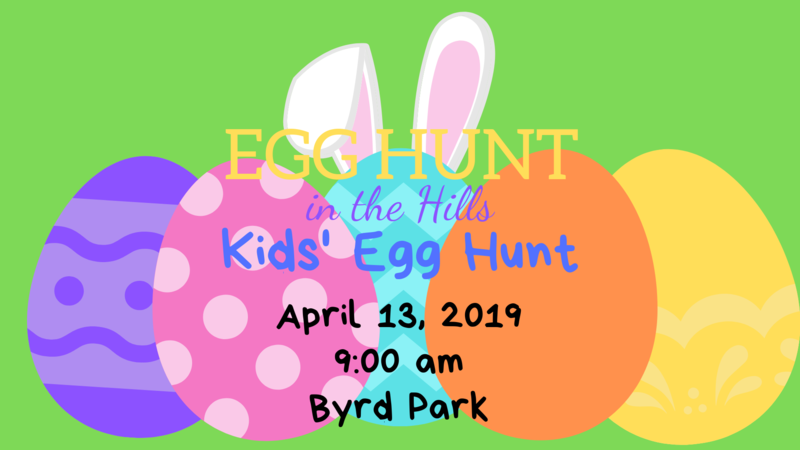 Bring your basket to hunt for eggs filled with candy and small prizes! Don't miss our Egg Hunt in the Hills Scavenger Hunt March 18-April 12! Follow our facebook page for the clues!